July 2017: Second wobbly bridge is currently out. You can cross through creek depending on spring run off or rain fall. Directions: NOTE:This TH location is to avoid the 1st high wobbly log bridge crossing. West Harrison FSR 29 K. Left on Chehalis-Mystery creek....just past 7 K the road splits, take right spur up the hill and stay right at junction and come to yellow gate with 'Eagle 0 k' on a large rock. 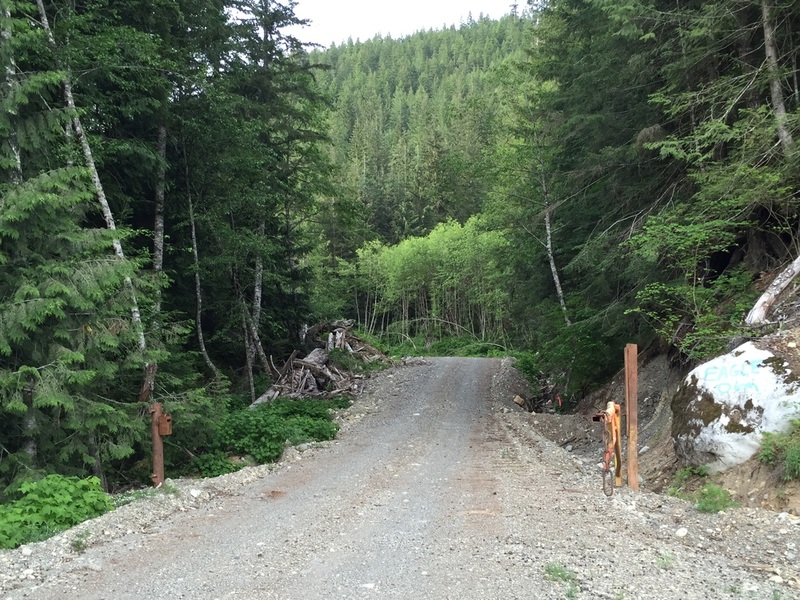 About 1 K in road splits stay left come to yellow bridge sign and go over Eagle Creek and follow the lower road. 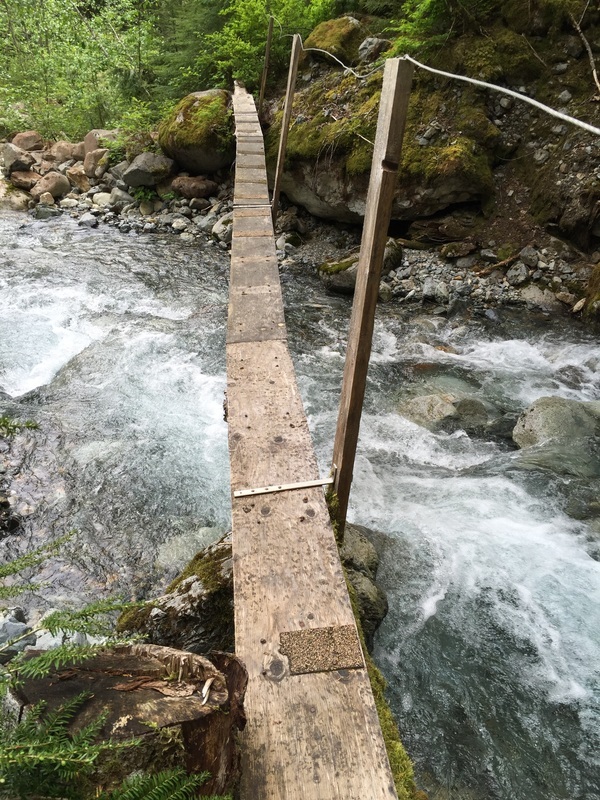 We parked at 3.6 k and walked down hill to creek or second log bridge to get to TH. It is possible with a high clearance vehicle you might be able to drive farther down the road to the creek. Walk down wide logging road to creek. 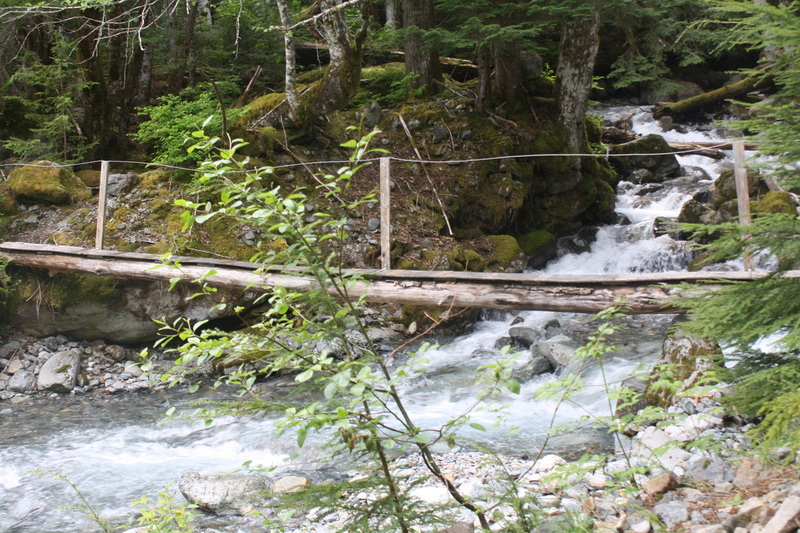 Cross the wobbly log bridge. Continue walking on your left up a rocky trail and see flagged TH on your right. 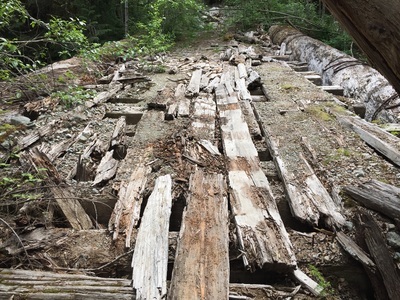 If you get to river crossing with old bridge that's falling apart turn around you've gone too far. Continue up the wide trail which is quite hilly. If levels out after about 200 m and road gets a little skinnier.